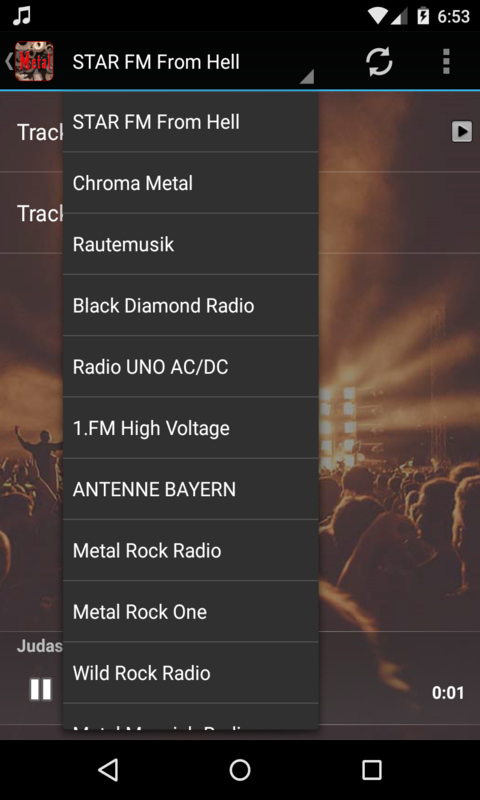 This compact and stylish application will let you stream heavy metal music, on your Android device, live from many radio stations all around the world. Heavy metal, as well as related genres such as hard rock have millions of fans around the world! 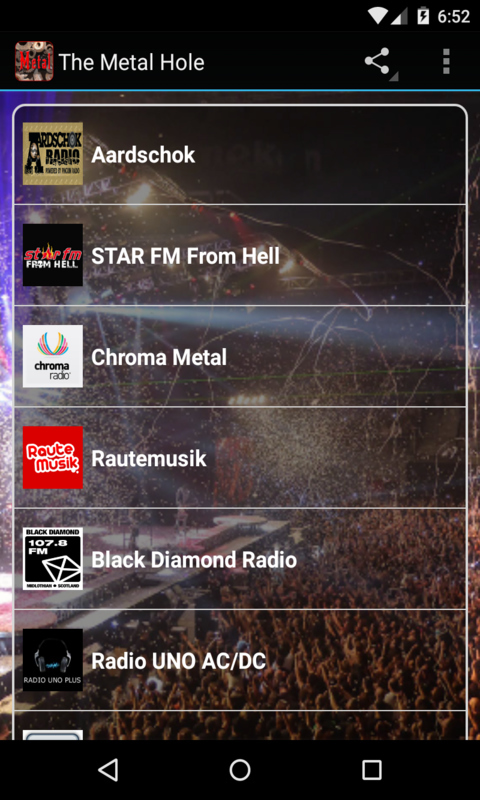 If you are one of them, this app will let you stream your favorite music, at any given time, through your phone or tablet! 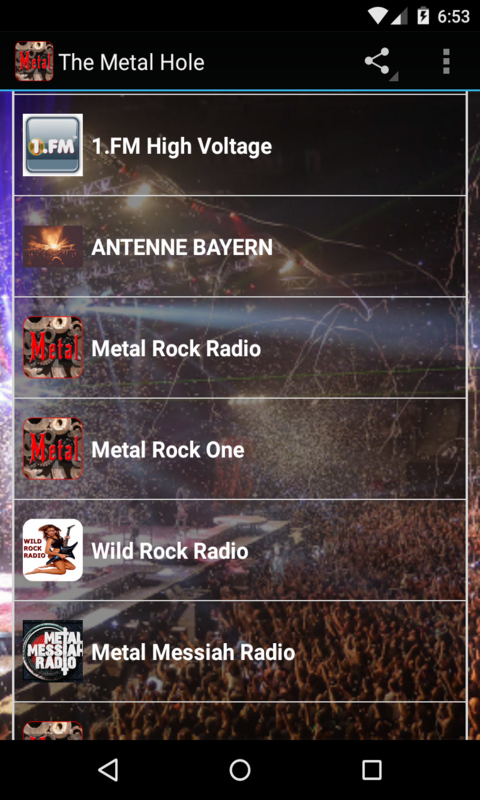 We have collected the most popular stations in the world for heavy metal and hard rock - with more than 30 stations playing your favorite music, you will always have an option that suits you the most. Doom or thrash metal? Power or epic? Or maybe some early hard rock? The stations will play everything you like! All stations are included through their online stream link, not through FM or AM radio. This means you can tune in to all stations, regardless from where in the world you are, and always experience high audio quality. 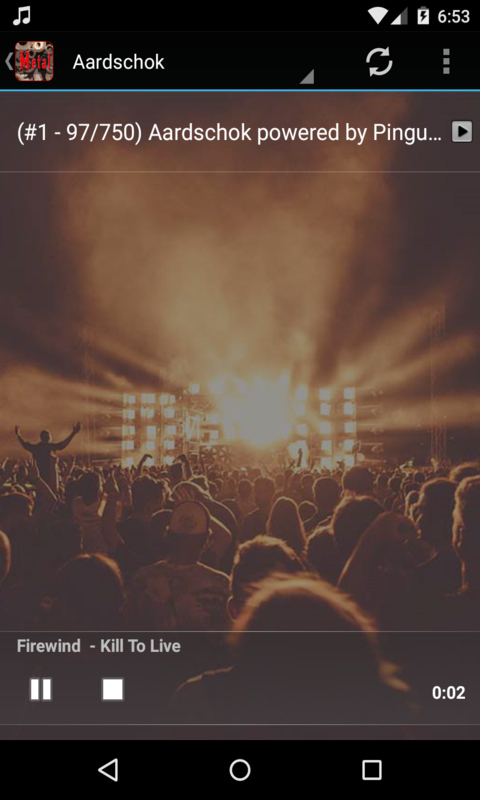 However, the app needs an active internet connection to stream the music.